NEwsEven if you aren’t a boxing fan and even if your interest in sports is absolutely non-existent, you’re probably aware by now of the “Megafight” being held this weekend in Las Vegas, Nevada. On Saturday May 2, Floyd “Money” Mayweather will fight Manny “Pacman” Pacquiao for no fewer than three combined welterweight title belts in what is certainly the biggest fight professional boxing has seen in probably almost twenty years. Forbes magazine calls it “the richest fight in history.” The total purse, or money the fighters will split, is expected to pass a total of $300 million. No, that is not a typo. Three. Hundred. Million. Somewhere between four and five million households are expected to purchase the fight. Tickets are being sold for literally tens of thousands of dollars on the black market. Bars and restaurants across America will be packed full of spectators rooting for their favorite fighter. Prominent reporters have for weeks on end focused on the training each participant is enduring in preparation for Saturday night. They have also focused on the enormous wealth that Floyd Mayweather has accumulated over his career. What they have not, for some mysterious reason, discussed much at all is the extremely disturbing history of domestic violence carved into Floyd Mayweather’s past. Prior to 2010, when his most public transgression occurred, Floyd Mayweather had been brought before the court on charges related to domestic violence no fewer than six times for matters involving five different women. All of these incidents, all of these accusations and charges, are meticulously documented. They are a matter of public record. In 2001 Mr. Mayweather, during an argument with the mother of one of his children, punched her in the face three times. He plead guilty to two counts of domestic battery and received a six month suspended sentence and performed community service. “Money” continued to fight, continued to earn millions, continued to be a rising star. In 2003 Mr. Mayweather was found guilty of two counts of battery for punching two friends of the mother of another of his children. Floyd continued to fight, continued to earn, and continued to be a celebrity on the rise. In 2005, the mother of one of Floyd’s children—the same individual from the 2001 incident—alleged that Floyd punched her, kicked her, and dragged her by her hair. The accuser recanted her statements at trial and Floyd walked. He continued to fight, to earn, and to make millions. In 2010, Mayweather was arrested for punching the same woman in the face, beating her in front of an associate, pulling her by her hair, and threatening her life after he disapproved of her choice in men following her terminating her relationship with Floyd. “Remember who puts the food on the table around here” he was reported to have told her as he dragged her across the room by her hair, taking her phone and isolating her from any help. Mr. Mayweather copped a deal for his actions and was sentenced to two months in prison for the most public and perhaps horrible of his acts of domestic violence. He continued to fight, continued to earn millions, his star growing larger and larger. Where is the media coverage of his actions? Why is America more focused on what his fists do in the ring as opposed to out of it? Why did the State of Nevada even license this man to fight? Why is it that while America has largely decided that Ray Rice should never work again, Floyd Mayweather is going to finish his career with greater earnings than the Annual Gross Domestic Product of several Nations, even though the facts about his violent actions against women are clear and available to anyone who cares to look for or at them? The easy answers, the ones that so clearly pop to mind? Money and entertainment. Perhaps the difference between Floyd Mayweather and Ray Rice is the lack of video? Or perhaps it’s more about the way the media and those with a dollar to be made are much more likely to have an honest discussion about domestic violence when it either. B-When the individual in question is no longer the profitable economic commodity they once were as is the case with Ray Rice. It’s hard to say. But what is not hard to see is that there has been virtually no discussion whatsoever of Floyd’s actions and even less in terms of consequences for the pattern of domestic violence displayed by the man. To the contrary, while his victims suffer the pattern of abuse and control, Floyd Mayweather has risen to become one of the highest paid and most recognizable celebrities in all of sports. He buys ten cars at a time, shares his bank deposits on Instagram, and pals around with Justin Bieber. His victims go ignored. Saturday May 2, 2015 bars will be packed, Vegas will be a destination for tens of thousands, Pay-Per-View purchases will soar and millions of living rooms will be filled with crowds of friends hoping for a spectacle, hoping for a great fight. And ignoring the ugly reality of the man earning all of those millions. They’ll be focused on the action in the ring instead. Encouraging it, rooting for it, hoping for a final and violent conclusion. But what they largely won’t be talking about is the horrible things Floyd Mayweather’s fists have done to the women in his life outside of the ring. They won’t be focusing or talking about his pattern of abuse and control, his long and horrible history of solving any problem involving a woman with his fists. And that right there is why domestic violence continues to flourish in America. The conspiracy of silence that will carry through Saturday night will continue moving forward until we hold accountable everyone who commits acts of domestic violence, not just those who cannot afford the best in legal counsel. Speak up, America. You can use your dollars as your voice. You can stop giving money to those who abuse, control, and dominate women, using their fists to enforce compliance with their demands. Don’t be afraid to speak up, to tell others why you will not contribute to the bank account of an abuser. Above all, don’t be afraid to offer comfort to those in your own community who are suffering from domestic violence, to direct them to help. Abuse and control are unacceptable. Violence against women is unacceptable. 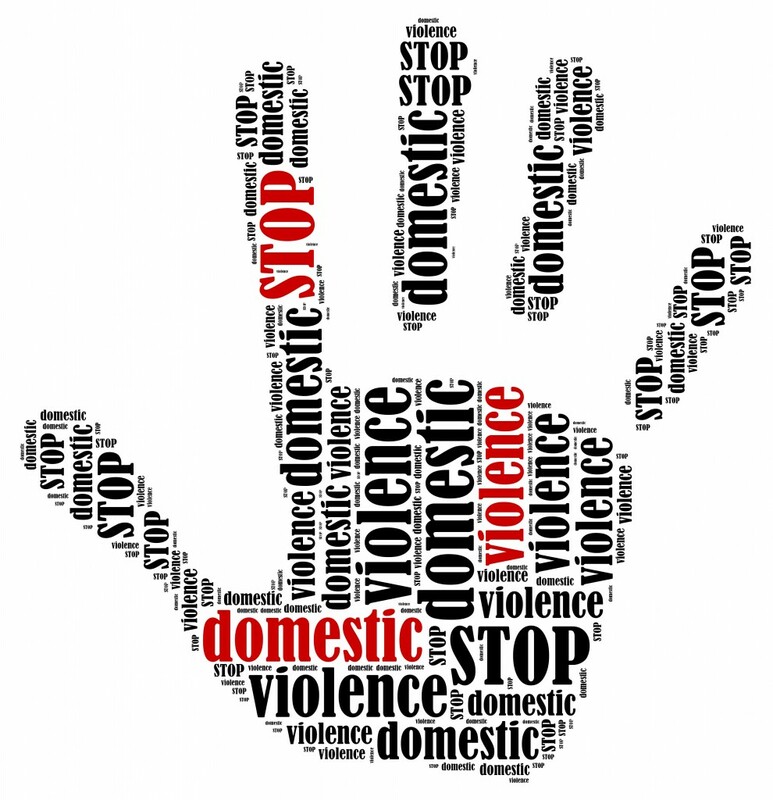 Domestic violence is ALWAYS wrong, regardless of the perpetrator or their claimed reasons. The first line of defense against domestic violence is the community and the voice of that community that says “No more.” On Saturday night, when the fight is over and Floyd Mayweather raises his hands . . . remember what those hands have been doing outside of that ring. And remember how so many of us looked the other way.